The Florida Fish and Wildlife Conservation Commission (FWC) is currently collecting feedback on Florida’s flounder, sheepshead, and tripletail fisheries. If you fish for any of those species, they would like to hear about it. Information they are looking for includes whether you actively target them or if you catch them while targeting other species, how you fish for them, is the fishery seasonal in your area, and when and where you target them. In addition, give them your thoughts on how you think the current fisheries are doing compared to the past and how you feel about the current management of these species. 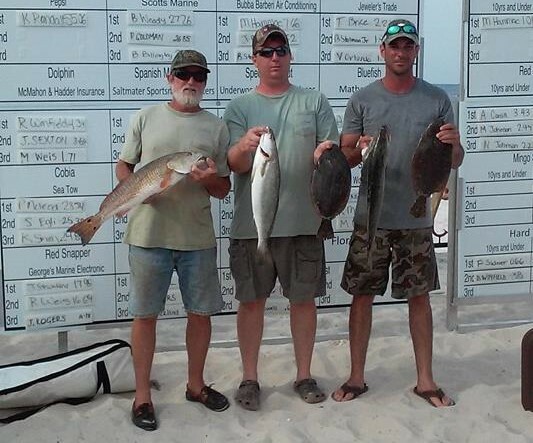 A number of anglers in different areas across the state have voiced concerned for one species or another and that has given the FWC reason to take time and look at the current regulations. You may send your comments by email to marine@myfwc.com, leave comments by phone at (850) 487-0554, or through the online portal myfwc.com/saltwatercomments.